GREENPORT, Long Island (WABC) -- A lucky couple with ties to Long Island won the wedding of their dreams as a special thank you for the groom's service for his country. 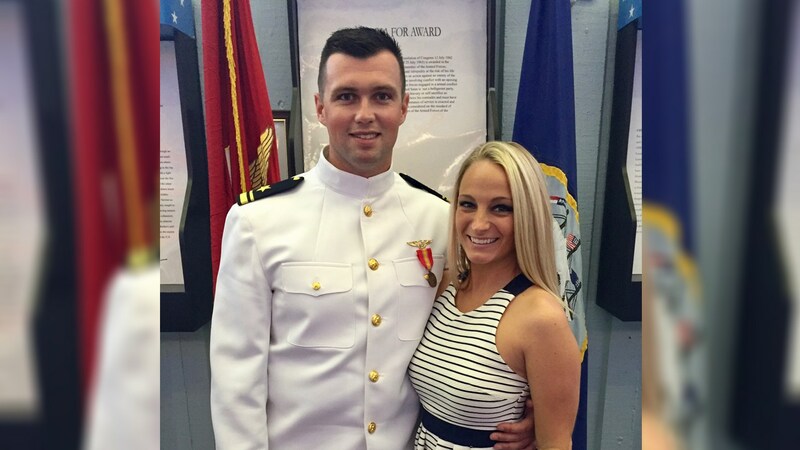 U.S. Navy Lieutenant Junior Grade John Dunne and his fiancee Katie Anthony are the winners of Peconic Landing's 8th Annual Veterans Day Wedding Giveback. "Katie and I are so incredibly thankful and blessed at this opportunity we have been given," Dunne said. "This allows us to start our lives together with an amazing wedding surrounded by even better people." The annual contest is held by the Peconic Landing retirement community as a way to show their gratitude to military personnel. Dunne, a Navy helicopter pilot, grew up in Southold and is currently stationed in Norfolk, Virginia, where he also lives with Anthony and her four-year-old son Maddox. "We are honored to help provide John and Katie with their dream day, and wish them a future of happiness together," said Robert J. Syron, President and CEO of Peconic Landing. Dunne and Anthony will now get married later this year on Veterans Day weekend in Greenport.